Is it time to down size and simplify your life ? Do you enjoy fishing and walks along the beach ? If so this could be just the opportunity you’ve been waiting for! 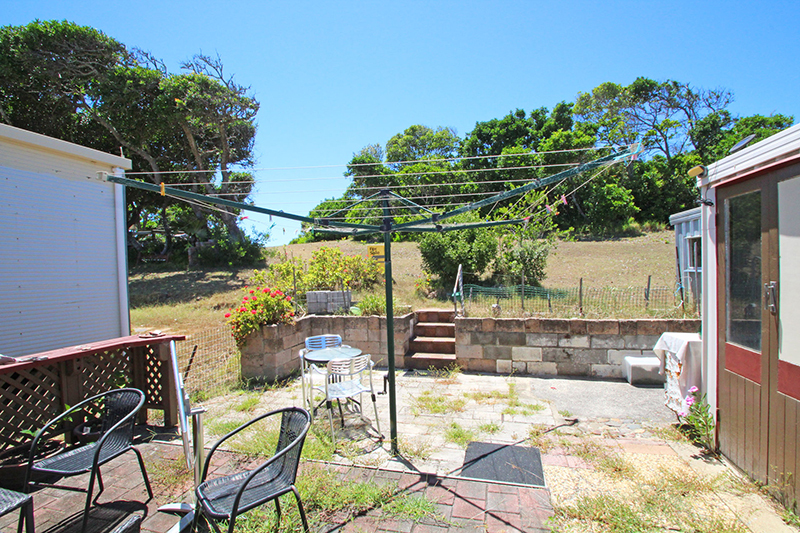 Situated at Brooms Head, an idyllic coastal setting and a popular holiday destination that you could enjoy all year round. Offering an onsite van with permanent annex, covered by a skillion roof with a large single garage off one side. 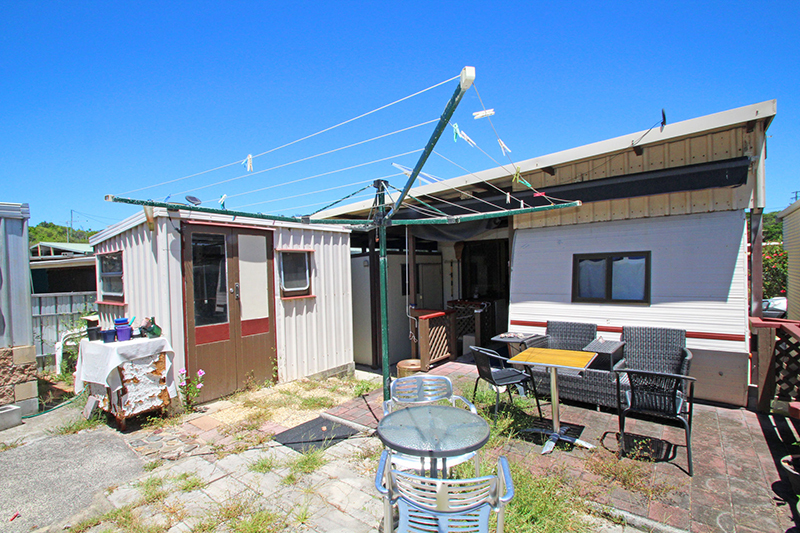 Located in a well maintained caravan park by the beach, backing onto a grassy reserve. There is a small covered verandah at the main entrance that leads into an air-conditioned living area, that the current owners also utilise as the bedroom. In the main van there is a timber kitchen with stainless steel wall oven, gas cooktop and rangehood at one end, with a small dining area between it and what used to be the main bedroom at the opposite end. This old bedroom offers a built-in cupboard with drawers, a dresser and overhead cupboards plus it has a 2nd doorway that provides covered access to the combined bathroom and laundry, situated behind the annex. Behind the van and annex is a paved area with two small sheds for storage. Take a short stroll to Brooms Head lookout to enjoy the magnificent view of back beach towards Sandon or pop down to the local snack shack for a burger and chips, if you don’t feel like cooking. Brooms Head also offers a local bowls club where you can enjoy a few beers and a feed of chinese, plus there is a general store for your everyday needs. A wonderful easy care lifestyle away from the hustle and bustle. 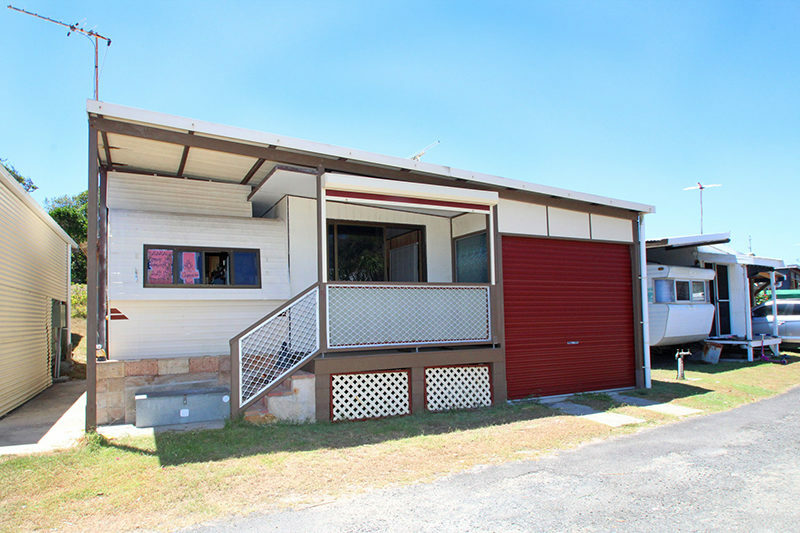 Recently listed for $72,000 for more details contact Troy or Jenny Betterridge or Toni Skinner at Maclean Local Real Estate on Ph: 6645 3433.